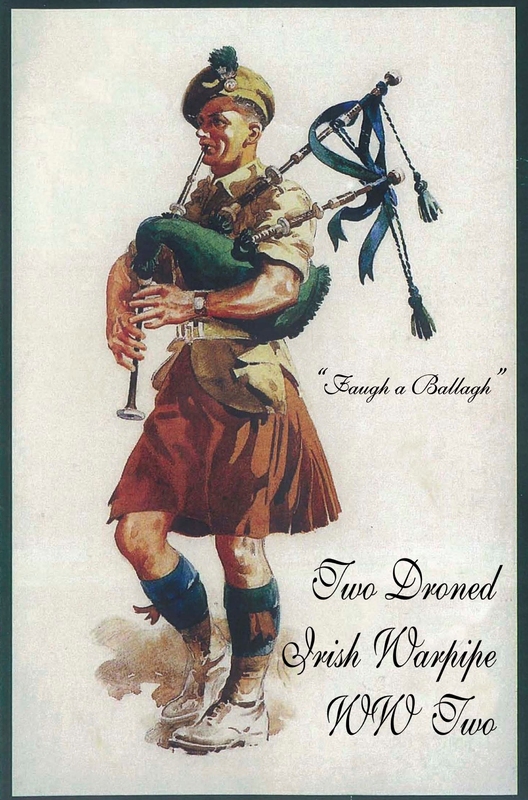 The uniform of the piper in the Irish regiments was based (according to the Ministry of Defence) on the dress of the ancient Irish piper. 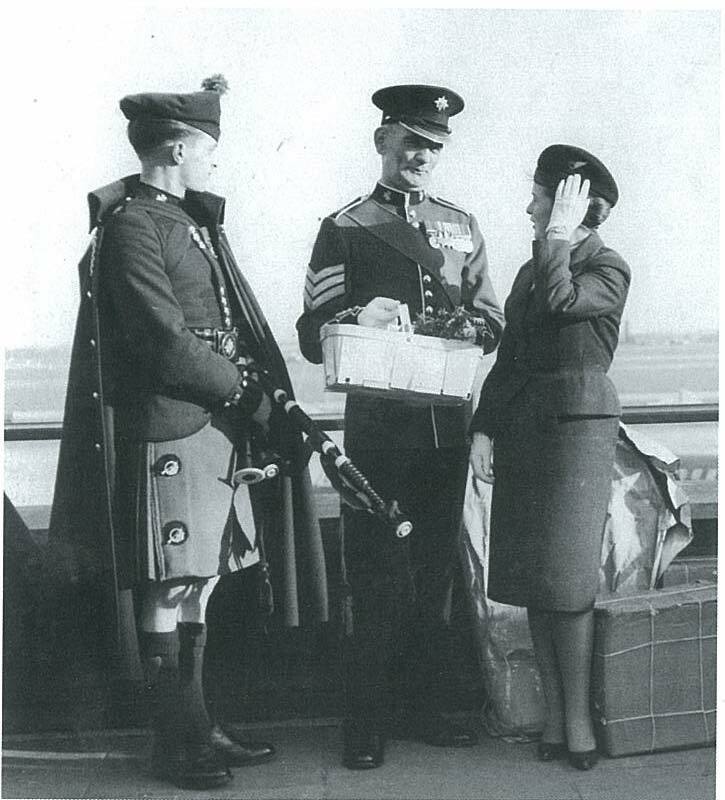 The cap was a caubeen,the kilt a solid saffron color and buckles on the brogue shoes. 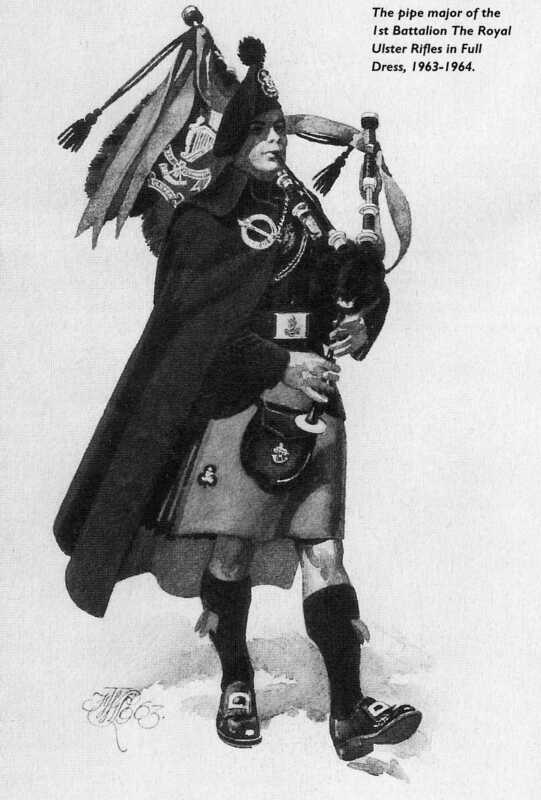 Weather permitting,the piper also wore a cloak or mantle with a celtic brooch attached. The caubeen and the cloaks were a dark green. 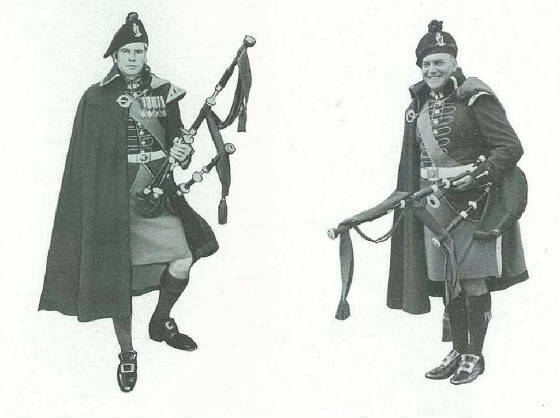 The current Royal Irish regiment pipers wear the same uniform. 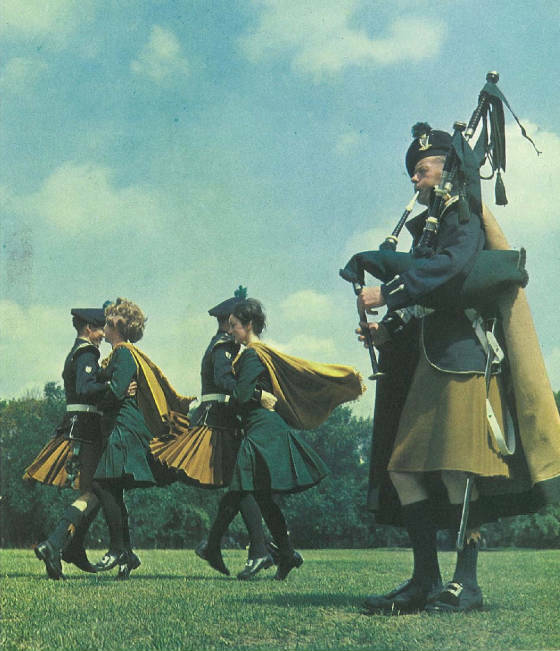 The Warpipe being played while Irish dancers perform a Four Hand. 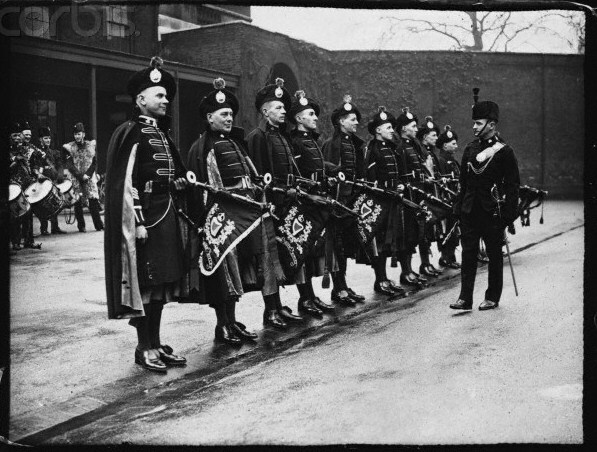 The Irish Guards take delivery of shamrocks on St.Patricks Day. The cover of a greeting card. 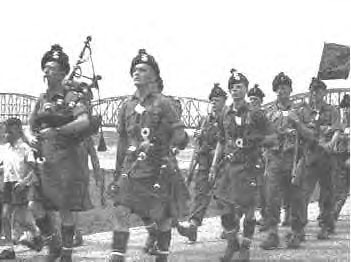 This photo of the Irish Fusiliers was taken in 1958 during the annual 100 mile march in Nimejen, Holland. This commerates a WWII event. 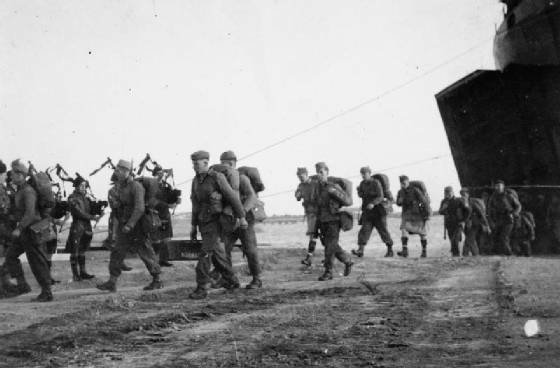 The film, A Bridge Too Far is based on this wartime event. 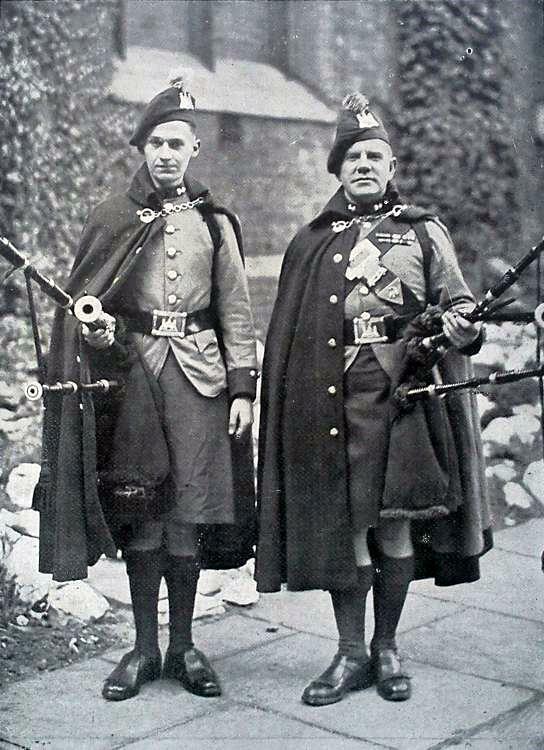 Two Irish Fusilier Pipers with a piper from the Royal Ulster Rifles in the middle. 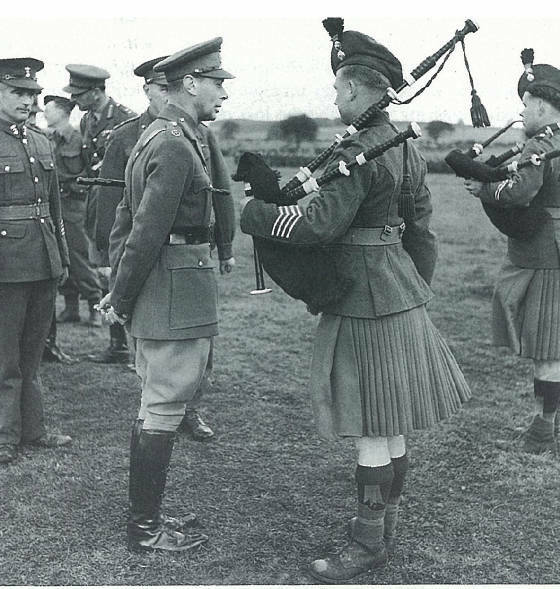 The King speaks to Pipe Major Lamb of the Irish Fusiliers during WWII. 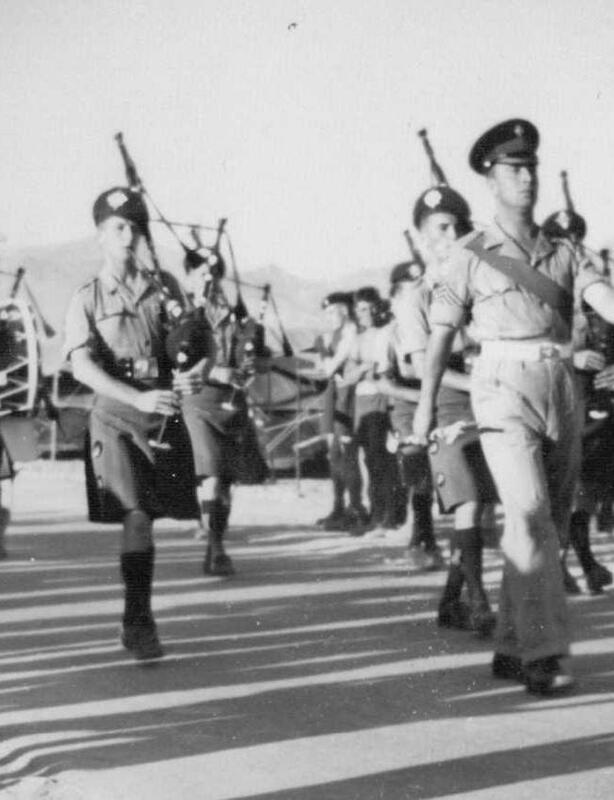 Pipers of the Irish Brigade (38th) in Tunisia during WWII. 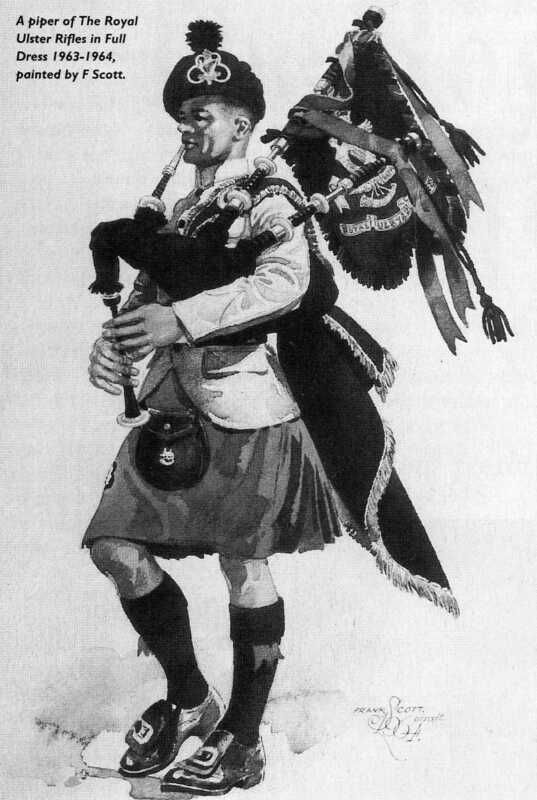 The piper in the middle is the inspiration for the painting of the greeting card shown on this page. 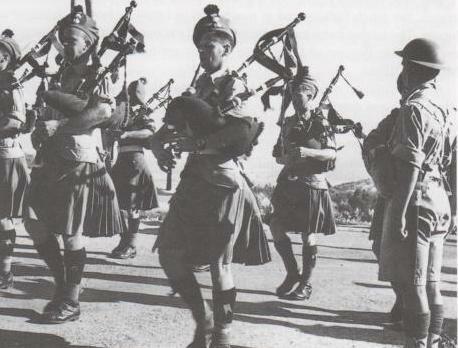 Above, the Royal Ulster Rifles perform for the arrival of Scottish troops to aid in the conflict in Korea. 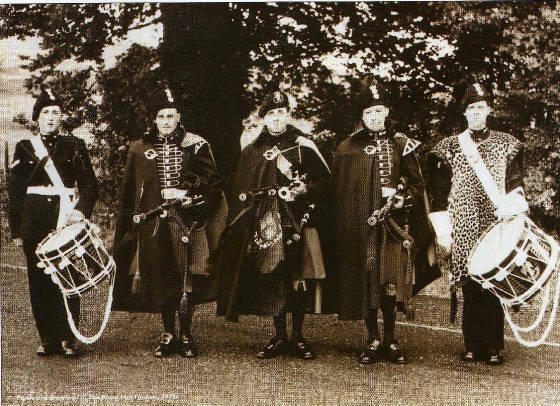 Below they are seen tuning up.